The recent agreement ending a military standoff between North and South Korea is raising hope for reunions of Korean families separated during the Korean War six decades ago. South Korea’s Unification Ministry said Friday that the South Korean Red Cross proposed talks with its North Korean counterpart early next month to discuss reunions. Early this week, the two sides agreed to take steps to ease tensions and promote exchanges, including the resumption of reunions of the separated families. The inter-Korean deal calls for the reunions to be held in time for Chuseok, a Korean annual harvest holiday, which begins in late September. If talks go smoothly, the reunions are likely to be held around mid-October, according to South Korean officials. 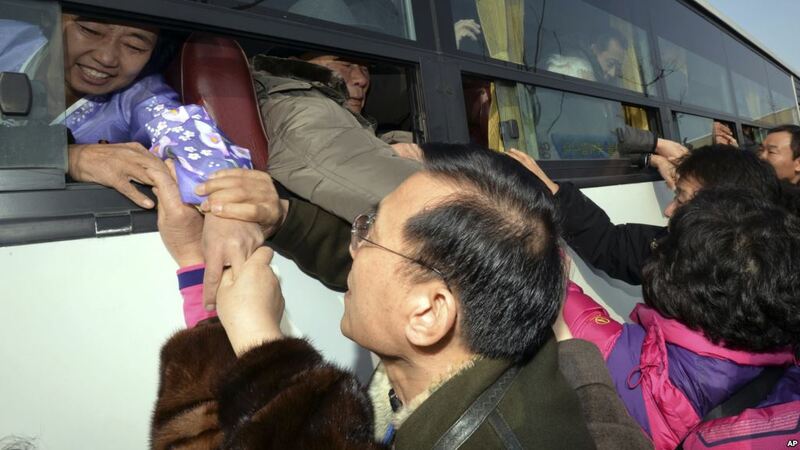 The latest proposal has renewed hope for many elderly South Koreans waiting to be reunited with their families in North Korea. “We welcome the news wholeheartedly. Future talks should address fundamental issues the separated families are facing. We will wait and see,” Lee Sang-chul, who leads an association of South Koreans with families in the North, told VOA. Lee said the most imminent issue is a lack of information. “Most of all, we want to know whether our families are alive or not. If they are alive, we want to know their whereabouts,” he said. Lee called on both governments to move quickly, saying half of the separated families who applied for reunions have died without seeing their relatives. “Our earnest hope is to visit our hometown just one time before we die,” he said. The two governments have arranged 19 rounds of face-to-face reunions since 2000. The last reunions were held in early 2014. Since then, South Korea has been pushing for a resumption of the reunions, but North Korea has rejected the move, linking it to political relations between the two sides. In the South, some 66,000 reunion applicants are on the waiting list and more than 70 percent of them are over age 70. According to the South Korean Red Cross, reunion participants will be decided from a pool of applicants randomly selected by a computer.